Description: This week, Dianna's special guest is Paul Hutcheson. Simcoe Street Theatre in Collingwood is proud to present “Stupefied”, a comedy written and performed by Paul Hutcheson scheduled Saturday, February 25. Paul is known for making people laugh. He performs and produces comedy. “Stupefied” is Paul’s fourth solo comedy. Paul has been compared to Jim Carrey and David Sedaris. On this week's BEACH CORNER, Paul shares his love for comedy and tells us what to expect at the upcoming comedy show “Stupefied”. BEACH CORNER from Beach BOOSTER Radio, available ON DEMAND on any device. Please enjoy and SHARE! The Power of Positive! This week, Dianna's special guest is Paul Hutcheson. Simcoe Street Theatre in Collingwood is proud to present “Stupefied”, a comedy written and performed by Paul Hutcheson scheduled Saturday, February 25. Paul is known for making people laugh. He performs and produces comedy. 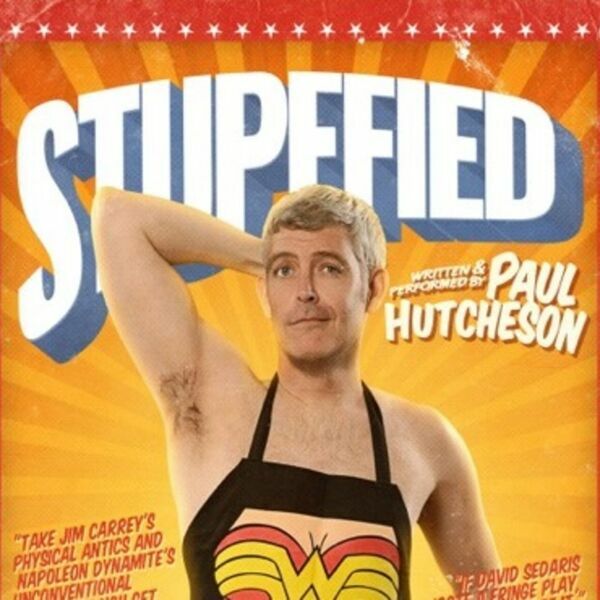 “Stupefied” is Paul’s fourth solo comedy. Paul has been compared to Jim Carrey and David Sedaris. On this week's BEACH CORNER, Paul shares his love for comedy and tells us what to expect at the upcoming comedy show “Stupefied”. BEACH CORNER from Beach BOOSTER Radio, available ON DEMAND on any device. Please enjoy and SHARE! The Power of Positive!